As I’ve mentioned before, I love having people over for dinner! I’m no expert dinner thrower though, as I usually need about an extra hour when I’m having a large group over. I did a chicken fried steak dinner for 10 friends recently, and if one of my friends hadn’t come over early there would have been no vegetable, and I had to completely scrap the gravy (usually the best part). One problem though (and I’m sure most of you would not see this as a problem), is that I end up with extra wine. I’m not a wine drinker, so I never know what to do with it. When it is white wine, I sometimes make a risotto. 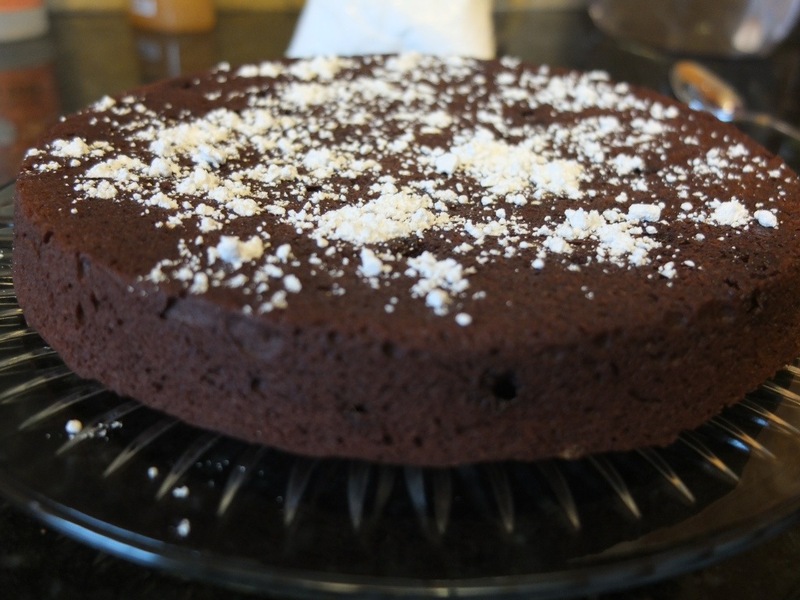 When it is red wine, I might try a meat sauce that needs wine or make this red wine cake. 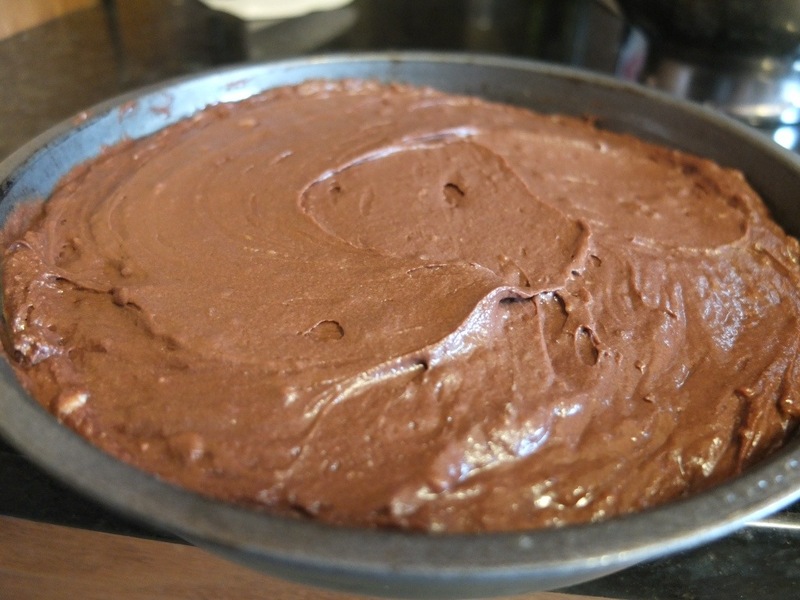 This is a really delicious cake that is easy to make and easy to clean up. 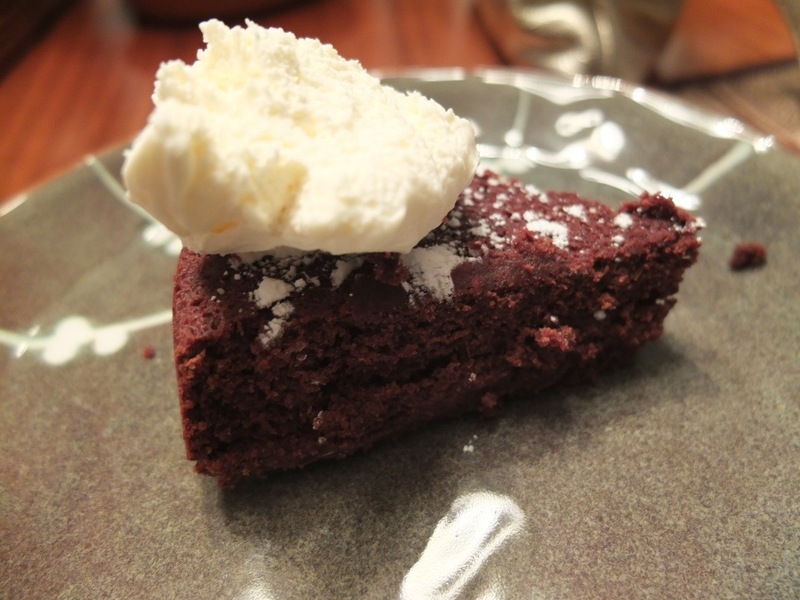 The cake has a very strong wine, chocolate flavor, so the mascarpone cream sauce that accompanies it is crucial (and delicious). 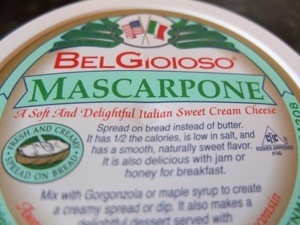 I recently discovered mascarpone when making some of giada’s mashed potatoes, and found it to be delicious. As the container informed me, it is just an Italian cream cheese. 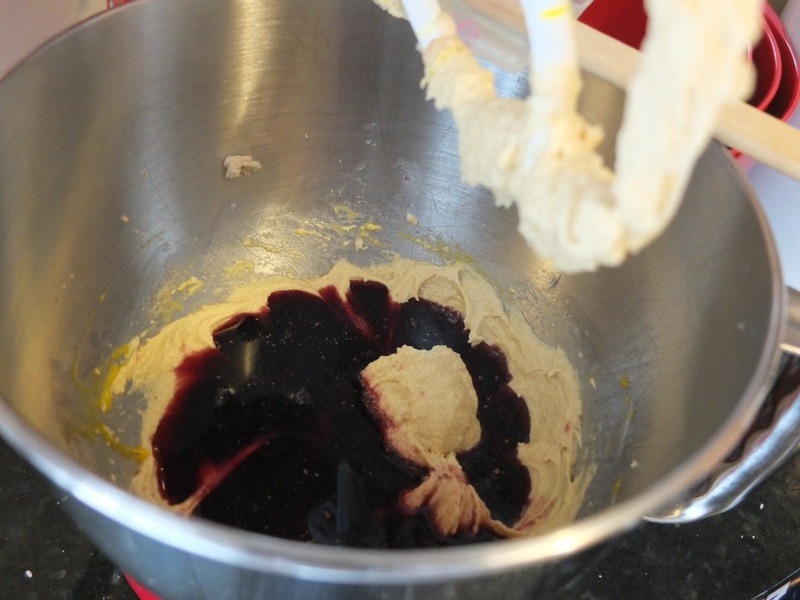 I even substituted it in a cream cheese icing recently, and it tasted great! So, next time you are looking for something to do with the left over red wine in your fridge, check out this recipe. I followed smitten kitchen’s recipe exactly, so I’ll just give you the link to her recipe and tempt you with my pictures. 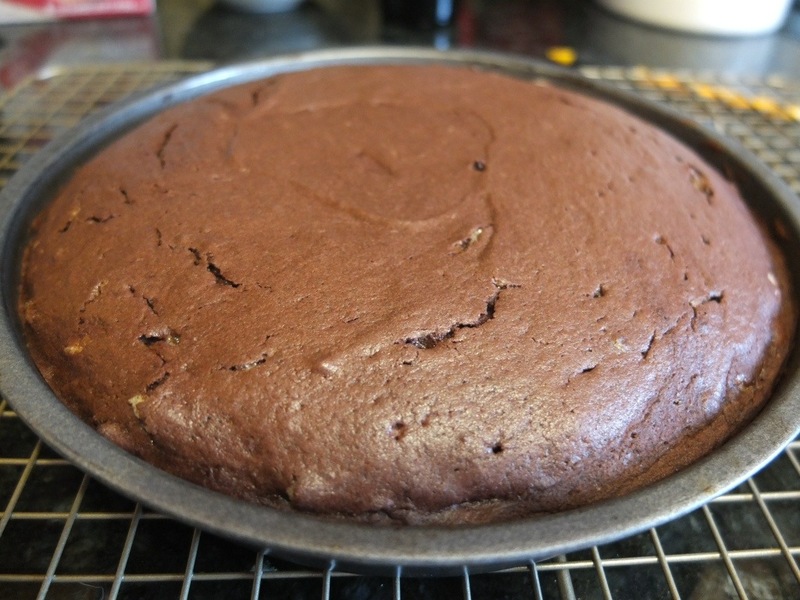 This looks way better than the red wine cake I’ve made before! Silly question but, the alcohol in the red wine bakes out, right? Wondering is this cake is safe for those with child. I bet the mascarpone balances out the flavor nicely! Kim, the cake still tastes very much like red wine. I don’t really know the science behind alcohol cooking out, so I’d caution away from serving it to children or those with children. Thanks for the question!